Looking for Transformers? Get a quote fast. The basics of electrical transformers. A transformer takes electricity of a certain voltage and transforms it into electricity of another voltage. All transformers function on an alternating current, and the only thing that changes is the voltage while frequency and amperage remain the same. They can be installed either indoors or outdoors depending on the application, though some may need to be installed in a vault for safety reasons. Different types of transformers are used across commercial, industrial, institutional, and residential applications, so it’s definitely not one size fits all. Depending on your needs and specifications, you may need a dry-type transformer or a liquid filled transformer, a low voltage or a medium voltage transformer, or maybe you need a custom solution. That being said, always make sure you get the unit that’s right for you. Below you’ll find some helpful specs that will guide you when you’re buying your transformer with Bay Power. What do I need to know about my transformer? Transformers come in a wide variety of shapes, sizes, and specifications, so getting the right unit may seem a little bit intimidating. However, knowing some of the following information will help you get started on the right foot when looking for your transformer. A Bay Power transformer is a quality transformer. Bay Power offers an extensive selection of all types of transformers, including buck boost, dry type, liquid filled, low voltage, medium voltage, single phase, three phase and more. Take advantage of our vast selection of transformers from top transformer manufacturers. You can always count on Bay Power for the best in performance, efficiency, and quality. Low voltage transformers are used in low voltage applications under 1kV (or 1000V). They are most commonly found in residential and commercial applications, though they can be used in low voltage industrial applications as well. Low voltage transformers can either be magnetic or electronic, with electronic transformers being more compact and a good fit for smaller applications, while magnetic transformers are better for heavier electrical loads. Commonly used in industrial and commercial applications, medium voltage transformers are rated for 600V applications and up. MV transformers are available in dry-type, liquid-filled, vacuum pressure encapsulated (VPE), or vacuum pressure impregnated (VPI). Buck-boost transformers are dry-type transformers, and are used to raise or lower the supply voltage in small increments. They come in a wide variety of voltage ratings and are commonly used to power low voltage circuits or in any application with a secondary voltage between 12-48 volts. They are compact, lightweight, and can be used indoors or outdoors, depending on the model. All of our buck boost transformers comply with NEC standards. A dry type transformer is a static device that uses a specialized insulation system to keep cool. Dry-type transformers are a safe and reliable option for indoor installation across both commercial and industrial sectors, although they can also be used outdoor as well. They serve a wide variety of applications including motors, heaters, air conditioners, as well as larger distribution systems. Oil and liquid filled transformers are commonly used in industrial applications, built to withstand harsh conditions and heavier electrical loads. They can be filled with a selection of different liquids including mineral oil, silicone, hydrocarbon fluid and more. Compared to dry-type transformers, they are advantageous if you need to handle higher loads at high voltages. Drive isolation transformers (or DIT’s for short) are designed to specifically handle the heavy demands and common short circuits associated with silicon controlled rectifier applications (or SCR for short). 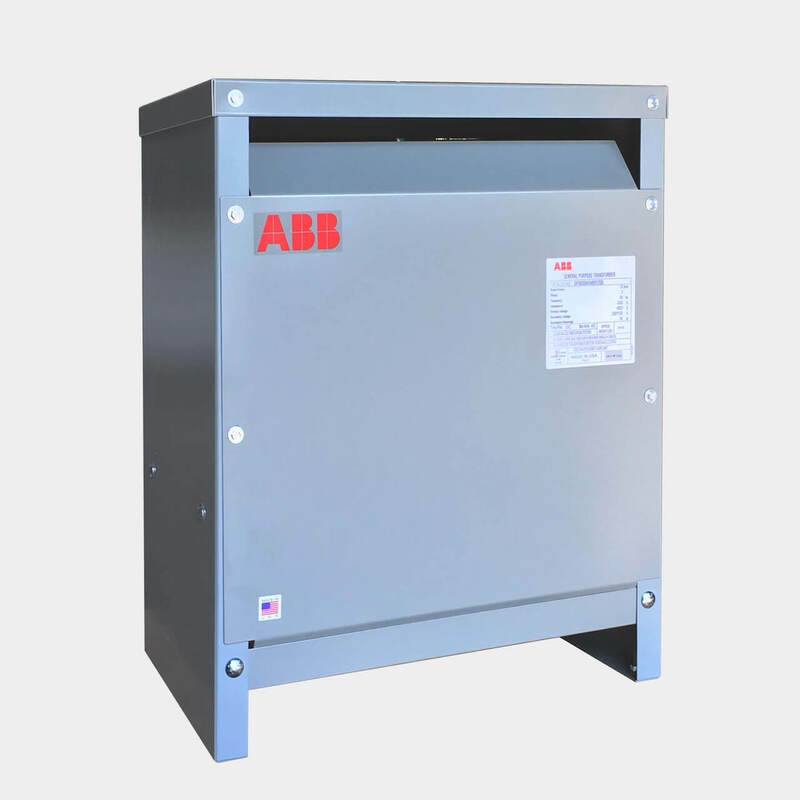 Common sizes for drive isolation transformers range from 5 to 600 horsepower. Custom transformers are specially designed, custom-built products that meet a specific set of requirements. Custom transformers are often built for industrial and commercial sectors but can also be built for residential establishments as well. Buck boost transformers, low voltage, medium voltage, 3 phase transformers and single phase transformers can all be custom built with custom designed wiring configurations. Have any old or unused Transformers lying around? Don’t get rid of them just yet. While we stock a wide range of quality electrical products and solutions, both new and reconditioned, we also buy back your unwanted equipment. So, before deciding what to do with your old Transformers and components, have one of our expert technicians take a look to see if we can save a few parts, save the environment, and save you some cash. Great service shouldn’t end after the purchase. We pride ourselves on the relationships we build with our customer-first mentality and the quality of our Transformers and components. That’s why we offer a 1-year replacement warranty on all of our electrical products and solutions from the top manufacturers. Because when you buy with Bay Power, you buy with confidence. We are proud to stock a variety of competitively priced, new and reconditioned components from the leading manufacturers of Transformers. Thanks to our extensive inventory of Transformers and components, our resourceful and expertly trained staff will always be able to get the products that you need. Through our extensive network of suppliers, we are able to carry and acquire a huge variety of electrical products and solutions, so chances are if you need it, we can get it. Bay Power’s priority is providing you with reliable, high quality electrical hardware. That’s why our mission is to make sure our reconditioned electrical products and solutions function as perfectly as the day they were built. Because while the quality is high, the cost of Transformers shouldn’t be. Our selection of new surplus Transformers may not arrive brand new in a box, but they function just as well, and have never had electricity run through them. All of the quality, none of the packaging, always with our 1-year replacement warranty.